Convey complex processes, solutions, and information by adding professional visuals and diagrams into Quip. Bring all your big ideas together and collaborate within a single live document. Simply type @Lucidchart Diagram to start using the embedded Lucidchart editor. 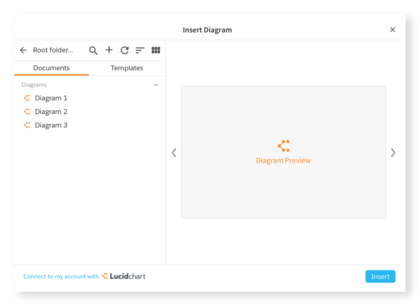 It’s easy to get started—without even logging into Lucidchart, you can drag and drop shapes, add shape libraries, and change formatting to create diagrams within the Quip environment. For advanced diagramming features, you can access the full Lucidchart editor from Quip. Quickly embed existing diagrams into your Quip documents to simplify team communication. You can keep your sales team up to date when you combined influencer maps with your Salesforce records and other key information or coordinate efforts on a product team when you include user flow diagrams, mockups, and timelines. Sometimes the hardest part is getting started. That’s why we’ve built templates to make diagramming faster and easier. Instead of staring at a blank canvas, select a diagram from the template picker in Quip and customize it to fit your needs. If you already use Lucidchart, you can easily link your existing Lucidchart account to Quip so you can view or embed your previously created diagrams. Use the @Lucidchart Diagram command to connect your account. 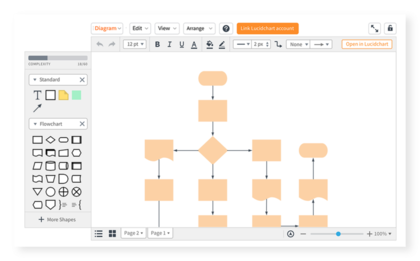 Powerful yet easy to use, Lucidchart meets all your diagramming needs. 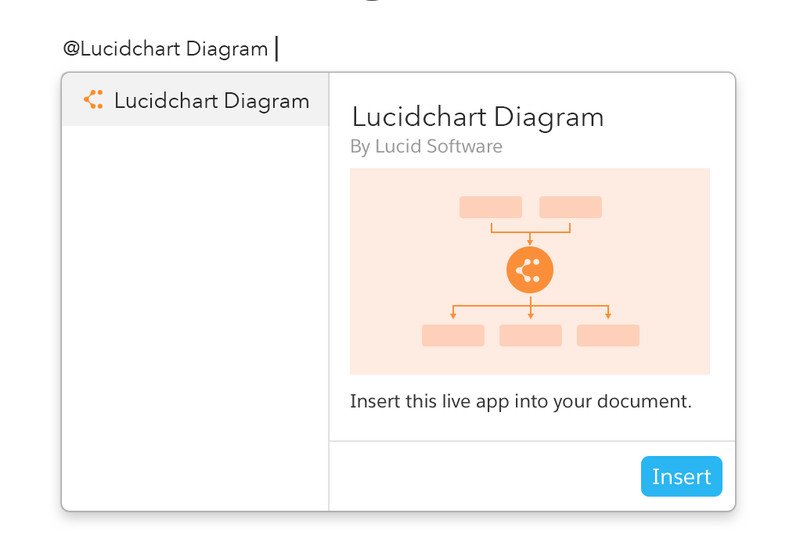 Lucidchart offers drag-and-drop functionality, hundreds of templates and shape libraries, and an extensive Help Center so you can create professional diagrams quickly and easily. 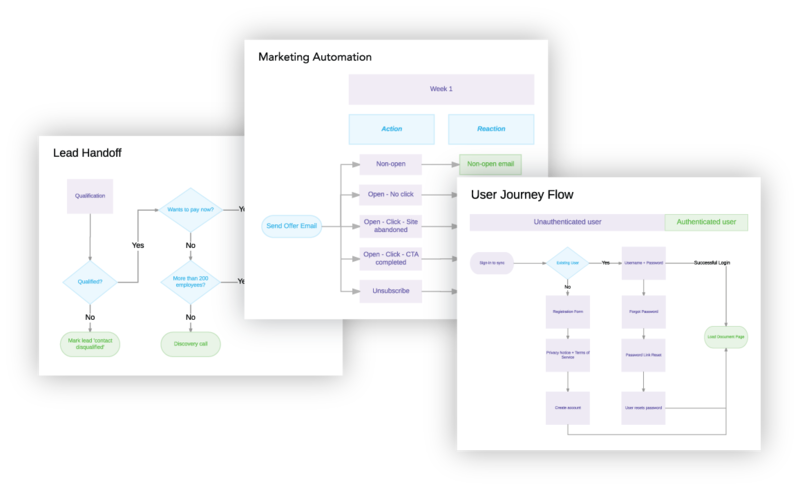 Try our automation features to build AWS architecture diagrams, UML sequence diagrams, org charts, and ERDs efficiently. Share diagrams with your team and collaborate in real time, regardless of physical location. Maintain control of your document by choosing whether collaborators can view, edit, or comment on your work. Or turn your diagram into a presentation for your team. Use Lucidchart from any browser on any Mac, PC, or Linux device. Take advantage of our integrations with leading platforms such as G Suite, Atlassian, and Microsoft Office to use Lucidchart within the applications you know and love.